Ben is basically king of construction in our house. 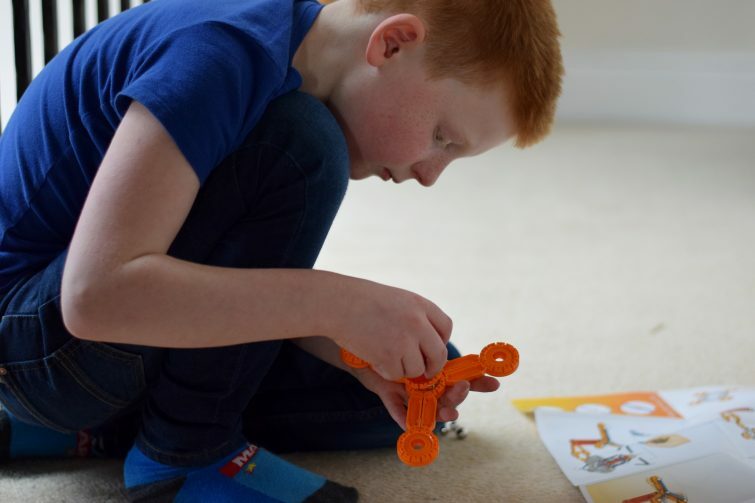 His obsession with all things LEGO started at the age of 4 and he can now confidently put together models aimed at children far older than him. We’ve tried other construction ranges (Meccano, K’nex etc) but nothing has quite grabbed his attention in the same way until now. 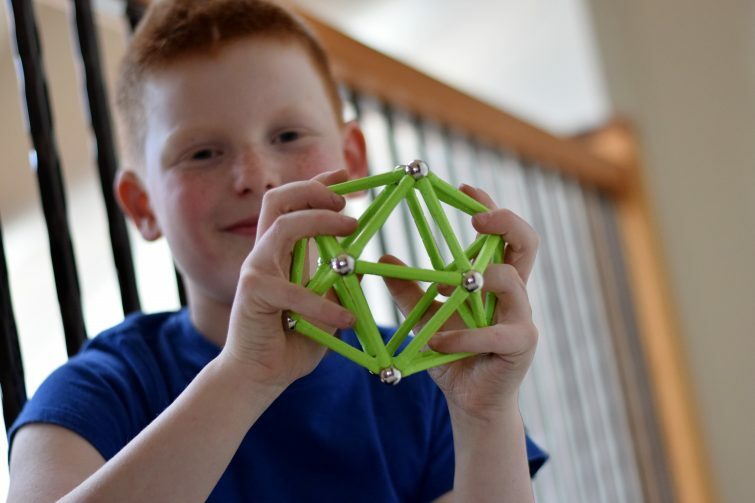 When Ben saw the boxes of Geomag he had been sent to review – he couldn’t wait to get his hands on them! 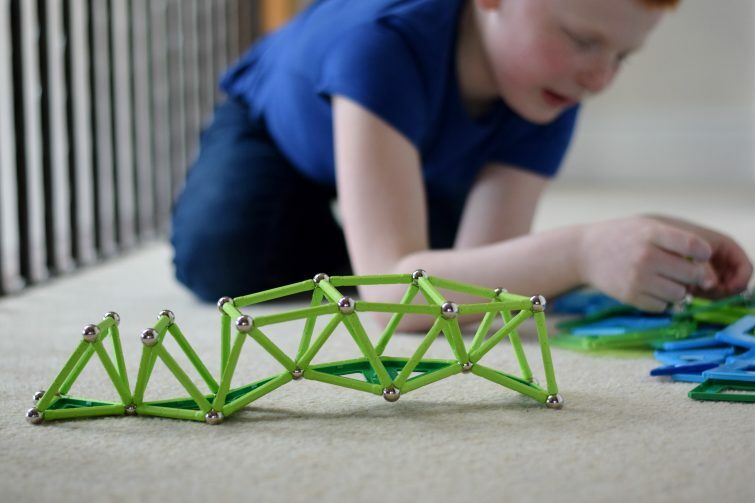 The Geomag Panels set consists of 192 pieces – a mix of magnetic bars, steel balls and bright, transparent geometric panels which fit together easily to build stable structures. Ben started off making a simple structure from the instructions using just the rods and balls before moving on to one of the most complicated structures on the sheet – I did suggest he might be better of building the smaller things first and building up to that once he’d got a handle on how the Geomag Panels worked but no, Ben knew best! 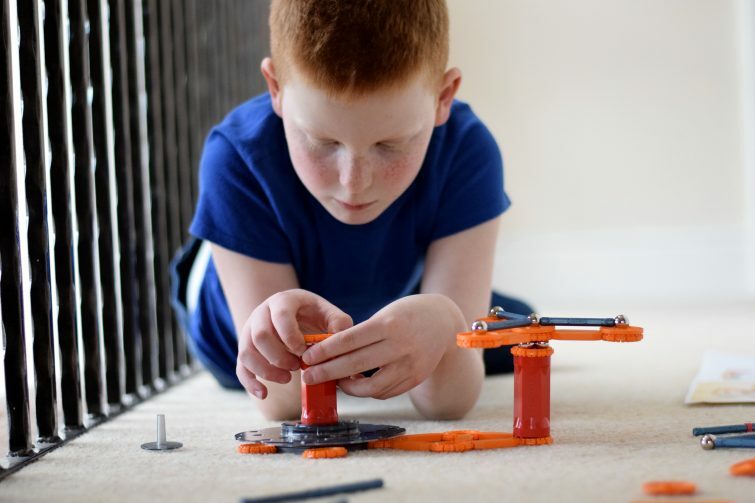 It didn’t take him long to get to grips with the instructions or how the Geomag pieces worked – and what I was really impressed with was his perseverance when things didn’t quite work for example if he knocked a panel or rod out of place. This would have driven me insane but he just popped it all back together again and carried on. Perseverance is a key word in education at the moment and only last week Ben’s teacher was talking to me about the need for him to challenge himself more so when he was happy to persist with building his chosen structure even though it didn’t go right for him first time, I was thrilled. 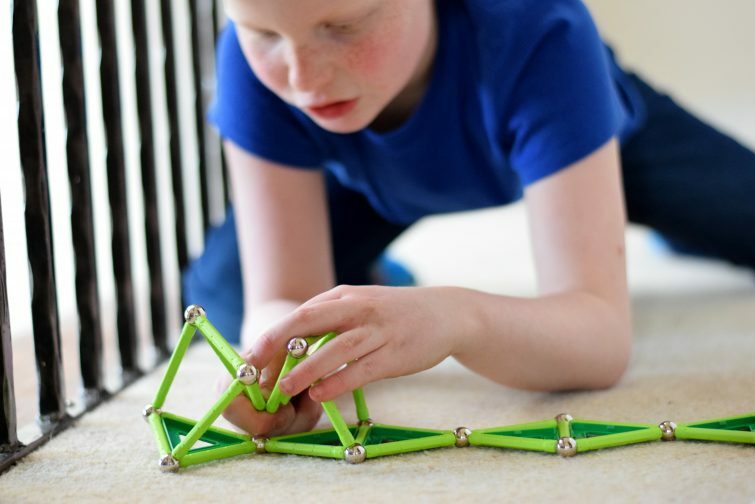 With 192 pieces, this set provides endless possibilities for creating ever evolving constructions – the examples on the instruction sheet are just a starting point to demonstrate what the magnetic pieces can do – I can’t wait to see where Ben takes them next! 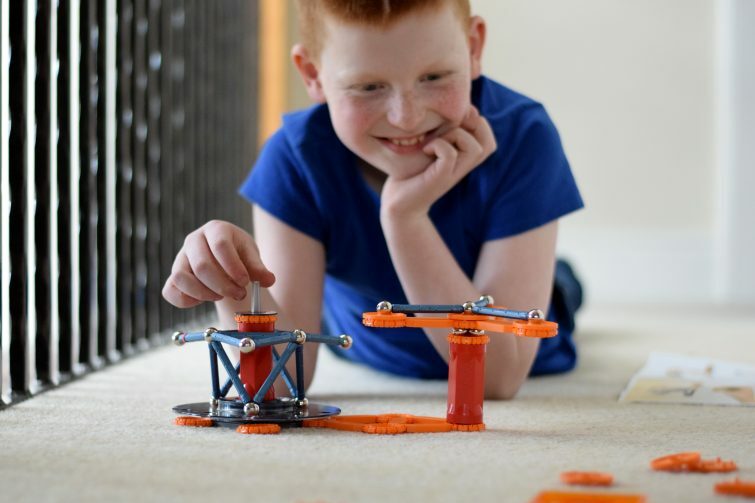 The Geomag Mechanics range is an evolution of the Geomag Classic line – adding in different shapes and colours which allow you to investigate how magnetic forces can trigger mechanical movement. 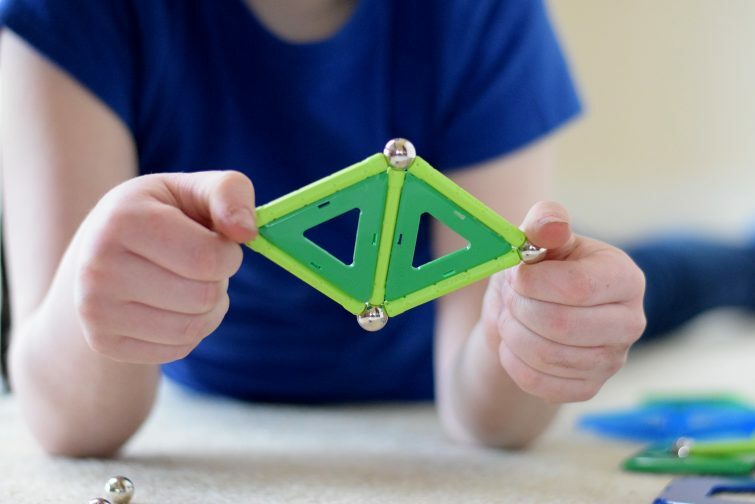 Ben has been looking at magnetism at school this half term so he immediately realised that using the magnets to repel one another was going to make his structure rotate and move. 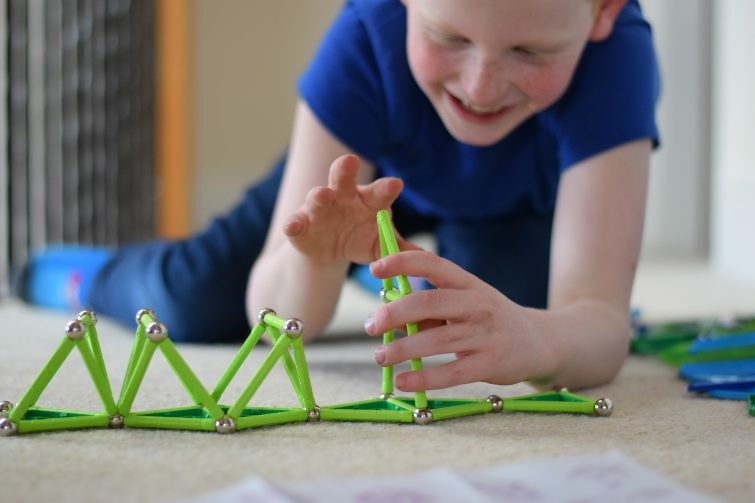 Geomag Mechanics, whilst aimed at age 5+, is a more complex system and as such is intended for more expert players – children who have already got to grips with how the Geomag system works. Typically Ben decided to have a go at the Geomag Mechanics system first, depsite my suggestions that he might be better of starting with the Geomag Panels set . 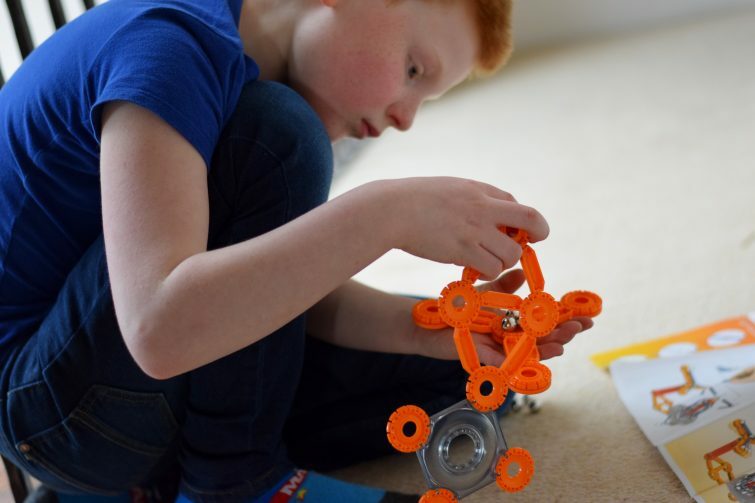 . . As he’s 8yrs old and fairly experienced in construction toys, he did manage to make the first Geomag Mechanics build without out too much stress – a little frustration and a few mistakes are of course great for learning! The sense of achievement when he managed to successfully complete the structure and then make it move, made for a very excited young man! 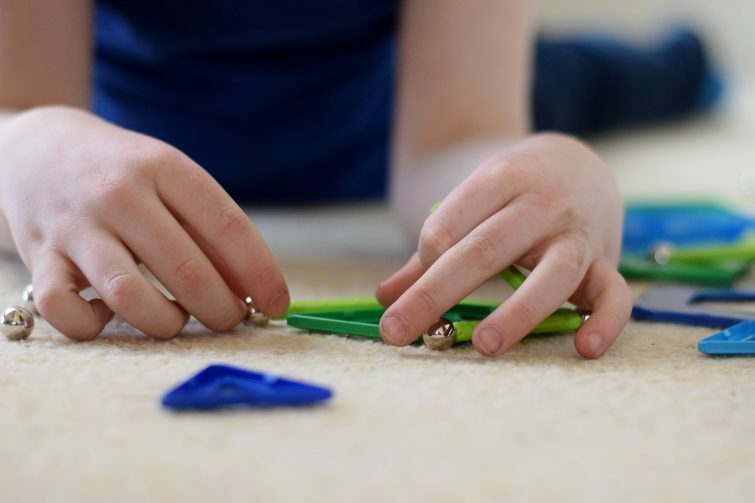 The teacher in me of course is dancing at the opportunities for fine motor development, understanding shape, fostering problem solving skills, designing and making . . . Geomag are ticking so many STEM boxes right there! I think Geomag have as much of a place in the classroom as they do at home. 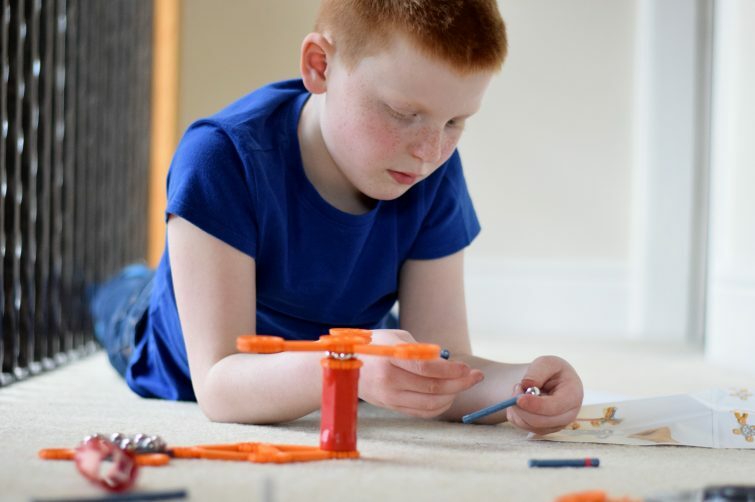 Maths and Science are very much Ben’s ‘thing’ – he as ambitions to become an inventor and I foresee a future in engineering for him if I’m honest so being able to play whilst developing skills which might help him achieve those ambitions is a bit perfect! Oh wow this looks like am amazing set. 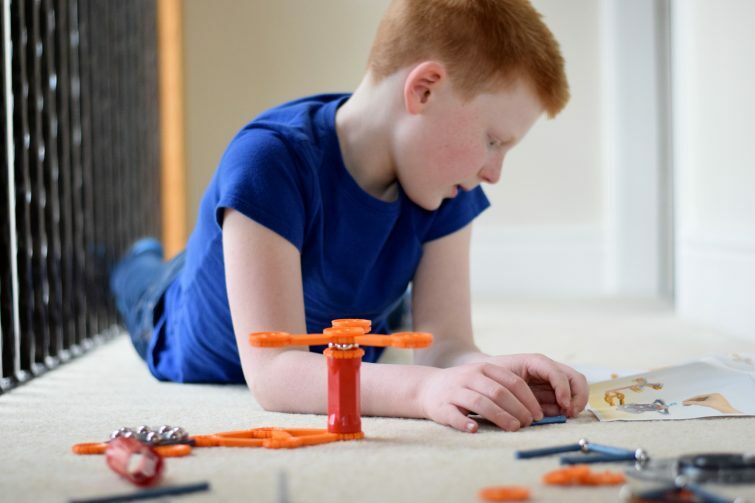 I love toys that encourage STEM subjects – It seems like there is a big push towards it right now and it’s great!